An international research collaboration has shed new light on how DNA sequence variation can influence gene activity in the developing human brain. The multi-national team, which was led by researchers at the University of Exeter Medical School, at King's College London, and at Cardiff University in Wales, conducted what was described as the first study of how genetic variation influences DNA methylation, an epigenetic modification that can have direct effects on gene expression and function, in the developing brain. In research published online on November 30, 2015 in Nature Neuroscience and funded by the UK’s Medical Research Council (MRC), the researchers demonstrated the potential utility of such data for refining the genetic signals associated with diseases hypothesized to have a neurodevelopmental component, such as schizophrenia. The article is titled “Methylation QTLs in the Developing Brain and Their Enrichment in Schizophrenia Risk Loci.” [Please also note BioQuick’s coverage of a different schizophrenia epigenetics study also published online on November 30. 2015 in Nature Neuroscience (http://www.nature.com/neuro/journal/vaop/ncurrent/full/nn.4181.html)]. DNA methylation is a chemical modification to one of the four bases that make up our genetic code, controlling when and where genes are expressed. As with other epigenetic marks, it is known to be dynamic across the course of life and modifiable by a number of factors, including the underlying genetic sequence. DNA methylation represents one possible pathway between genetic variation and disease, with genetic differences altering the regulation of gene expression at specific points in development. Researchers have found that feral cats in Australia are most likely descended from cats brought to the continent by European settlers. Feral cats found on the islands surrounding Australia may represent founding populations from Europe, introduced in the 19th century, according to research published online today (December 4, 2015) in open access journal BMC Evolutionary Biology. The article is titled "A Voyage to Terra Australis: Human-Mediated Dispersal of Cats." 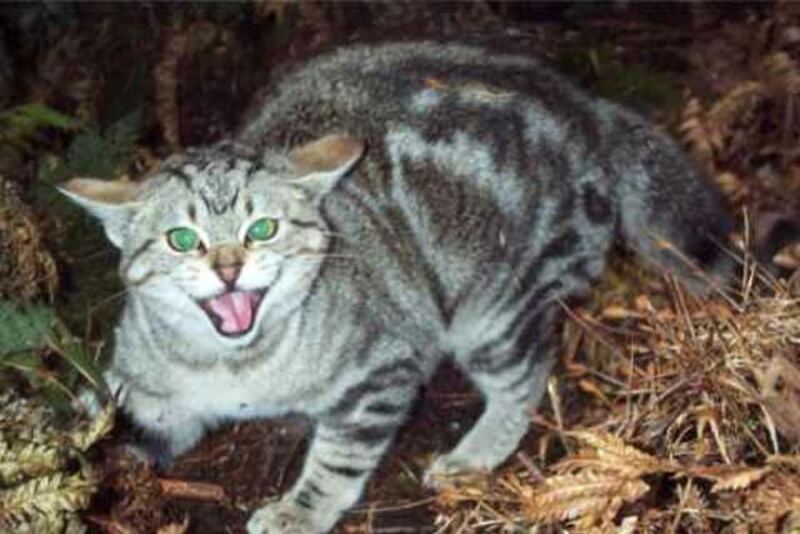 Identifying the timing of the founding of these cat populations increases our knowledge of the effects ths invasive species had when introduced to Australia. Feral cats (i.e., cats that are free-living and independent of humans, but that are descended from cats that did rely on humans) have established invasive populations over large geographic areas of Australia. There has been much debate about how these cats arrived in Australia. Cats were often transported on sailing vessels as a means of controlling rodents or as pets, initially on board and then in new settlements. One theory suggests that cats arrived in Australia with European explorers in the late 18th century. Another hypothesis is that cats accompanied Malaysian trepangers (Malaysian fishers of sea cucumbers) northern Australia in approximately 1650. Researchers from the Senckenberg Biodiversity and Climate Research Centre (BiK-F) and the University of Koblenz-Landau, Germany analyzed mitochondrial DNA and microsatellites (short repeating sequences of DNA) from 266 Australian feral cats to explore their evolutionary history and dispersal patterns. Samples were analyzed from six mainland and seven island locations. The analysis found that the most probable primary source of feral cats in Australia is from cats arriving from Europe in the 19th century. Researchers at the University of Basel in Switzerland have taken a close look at a signaling pathway (Notch) present in most organisms and found that it suppresses the formation of specific types of brain tumor. Their results have been published online today (December 4, 2015) in an open-access article in Cancer Cell. The article is titled “A Tumor Suppressor Function for Notch Signaling in Forebrain Tumor Subtypes.” Gliomas are the most common brain tumors in adults and the prognosis for patients is, in many cases, very bad. Therefore, novel and effective therapies for glioma treatment are needed. In order to develop these, it is crucial to understand the biology of this type of tumor. So far, it has been highly debated as to which brain cells can form gliomas when they acquire gene mutations. However, researchers believe that brain stem cells might be a potential source of this type of cancer. Stem cells in the human brain can generate new nerve cells and, if something goes wrong in this process and uncontrolled proliferation or impaired differentiation occurs, this may lead to the formation of a brain tumor. A research team led by Professor Verdon Taylor from the Department of Biomedicine at the University of Basel has now studied whether one molecular mechanism that controls normal stem cell maintenance in the brain is hijacked and used by cancer cells during tumor formation. The researchers studied the so-called Notch pathway. This signaling pathway is central to brain stem cell activity and it has been proposed that it can, once aberrantly activated, contribute to the growth of gliomas. “In contrast to our expectations, we found that the opposite is the case: when activated, this pathway actually suppresses the formation of some types of glioma”, says Claudio Giachino, Ph.D., first author of the study.